FREE wireless high speed Internet in all rooms. Located near many restaurants and upscale shopping. Take a trip down to the iconic short track of the Bristol Motor Speedway, which hosts two Nascar weekends each year, or explore other local destination near our Johnson City, TN hotel, including: East Tennessee State University Historic Jonesborough Johnson City Medical Center Tri-Cities Regional Airport Our Johnson City hotel offers Value Q's, along with with amenities including a seasonal outdoor pool, free weekday newspaper and: Free WiFi Free parking Fax machine Enjoy our professional, responsive and friendly staff and inviting guest rooms that feature TVs, coffee makers and premium bedding. Get your moneys worth at the Quality Inn. 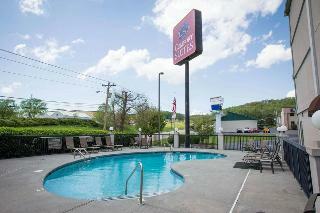 Johnson City hotels like ours help you relax and focus on the people and experiences you came for. Located just off I-26 in the heart of Johnson City. Come experience true southern hospitality and enjoy our new upscale guest rooms! Each of our guest rooms are appointed with 39-inch flat screen televisions, microwave, refrigerator, free Wi-Fi, and a free hot breakfast. Take some laps in our huge outdoor pool, or burn some calories in our new fitness center. There is also a full service restaurant and sports lounge on site. Have your next meeting or Banquet with us, we can accommodate up to 200 guests for any type of event. Within a few miles of the hotel there is the mall, retail stores, 20 restaurants, movie theatres, sports and entertainment venues. Visitors will enjoy taking a day trip to explore one of the nearby cities of Kingsport, Bristol, Elizabethton, or the Historic Tennessee towns of Jonesborough, Abington, VA (Barter Theater) and Asheville, NC. 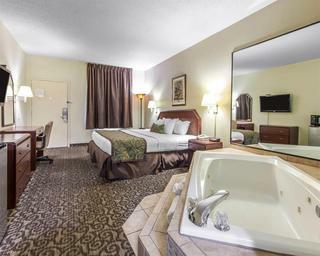 Make a reservation today at the Best Western Johnson City Hotel & Conference Center and be treated to a wonderful stay.